YOUR VEHICLE AND TO BECOME A RE-ENACTOR AT THIS YEARS RED THUNDER AIR SHOW. REGISTER YOUR VEHICLE AND BECOME A RE-ENACTOR AT THIS YEAR'S RED THUNDER AIR SHOW. Display your historical clothing and equipment at Red Thunder 2018 and receive free tickets to the Airshow! Are you a dedicated historian who enjoys nostalgia from the 50's? Then we want YOU to apply to become a re-enactor at this years Red Thunder Air Show. Today is the last day to apply so you need to get in quick! What's in it for you? FREE tickets to the airshow and a weekend full of celebration, food and live entertainment. What more could you want? To apply, simply click here and fill out the registration form before midnight FRIDAY. REGISTER YOUR HOT ROD RODERS TODAY! If you have a need for speed on the ground and in the air then Red Thunder Air Show has you covered. 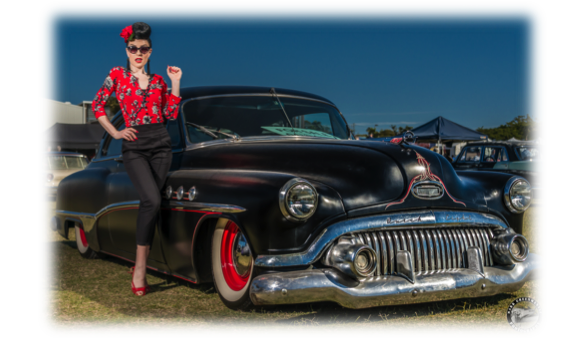 Starting at 8 am on Saturday and Sunday, Hot Rod Roders will be featured along side classic aircrafts, pinups and military re-enactors. If you are interested in bringing your Hot Rod Roder along and celebrating a unique moment in history simply fill out the registration form here before midnight FRIDAY! As an additional benefit we will give Car Entrants 2 free tickets and Motorcycle Entrants 1 free ticket to the Airshow! (Please note that free tickets only apply to those that display on both days).